You can never have too many pairs of boots and shoes! For winter season you should have several ones to change them according to your outfits. That’s why I offer you to take a look at these glossy boots that will be perfect additions to your elegant, casual or weekend outfits. I think you know that a patent (or varnished) leather is a type of coated leather that has a shiny finish, and besides boots you can find skirts, coats, jackets or bags from this fabric. Now let’s consider some cool winter look ideas with patent leather ankle, over the knee (or just high) boots below. Enjoy and get inspired! 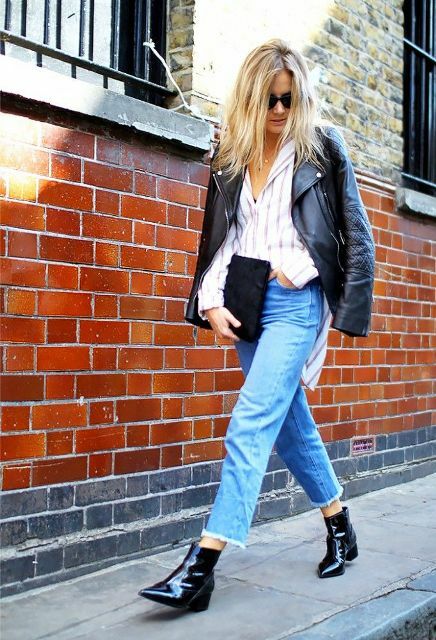 If you want to pick up flat boots, then choose black patent leather lace up ones and combine them with a navy blue shirt or sweatshirt, a white fur jacket, distressed skinny jeans and a printed leather bag. 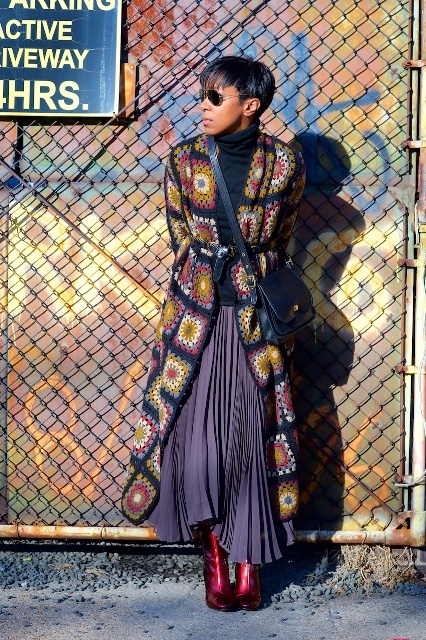 You can also mix a striped button down shirt, a black leather jacket, crop jeans, ankle boots and a black velvet clutch. Wanna add colors to your casual outfit? Then add red patent leather mid calf boots to a combination of a gray midi coat, cuffed or crop jeans and a black chain strap bag. 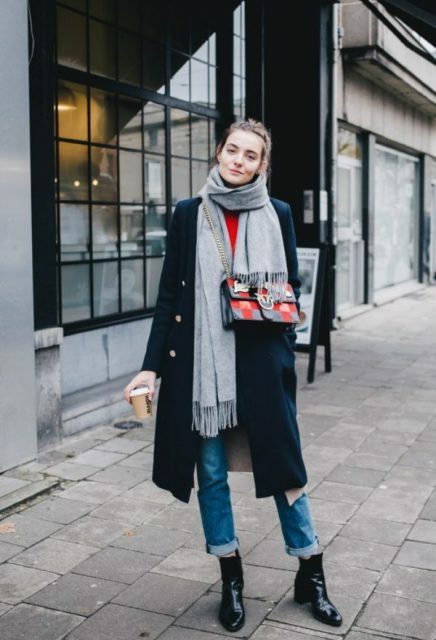 If you love unique and feminine outfits like we do, then you’ll fall in love with the outfit that consists of a navy blue turtleneck, a printed maxi coat with a black leather belt, a purple pleated maxi skirt (or you can take a black maxi skirt with slits), a navy blue crossbody bag and red glossy mid calf boots. Ready for something super fashionable? 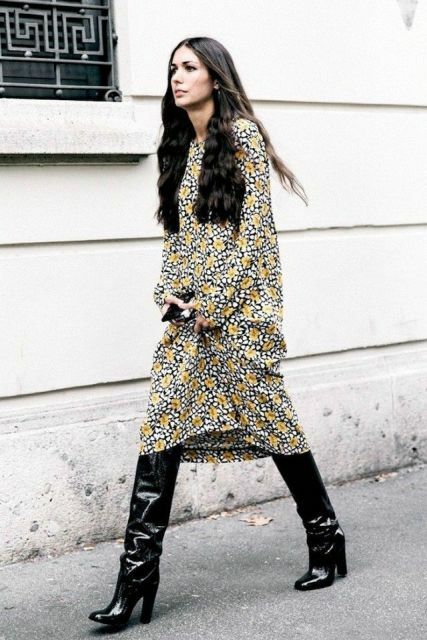 Then combine a hoodie dress with an oversized denim jacket, a black beanie, sunglasses, a black leather tote and black over the knee patent leather boots.